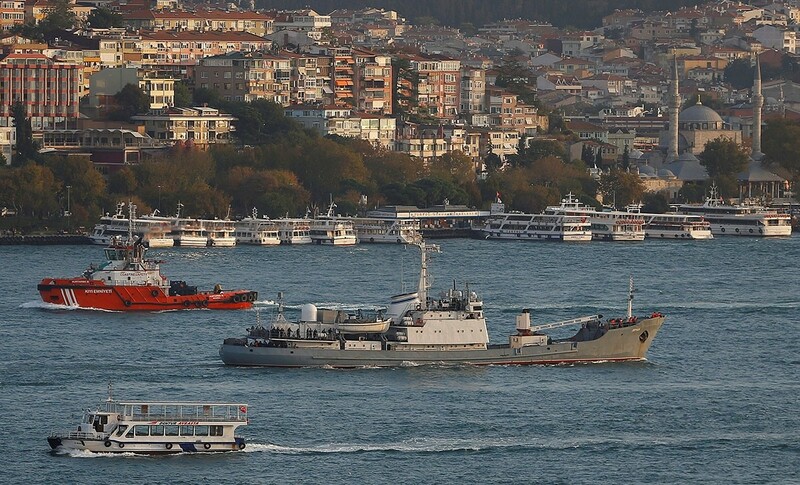 A Russian navy ship crashed with a freighter carrying livestock off Turkey's Black Sea coast near the Bosporus on Thursday. The Togo-flagged cargo ship Youzarsif H. collided with the Russian intelligence vessel "Liman" some 18 miles north of the town of Kilyos in Istanbul's Sarıyer district due to heavy fog, causing significant damage under the water line. The crew could not succeed to keep the ship afloat but all 78 crew members were successfully rescued. Turkish coast guard rescued 63 crew members, whereas 15 others were rescued by the crew of the cargo vessel. None of the crew members suffered any critical injuries. The cargo vessel was traveling from Romania to Jordan according to Turkish media, while the destination of Liman was not known. Search and rescue crews and ambulances were dispatched to the coast for the Russian crew, which were expected to be transported to a nearby Russian cargo ship according to a Russian Defense Ministry statement quoted by the Associated Press (AP). The statement said the rescued sailors would be delivered to the home base of the Black Sea Fleet in Crimea. The Defense Ministry said a hole was punched in the starboard side of the Liman during the collision. 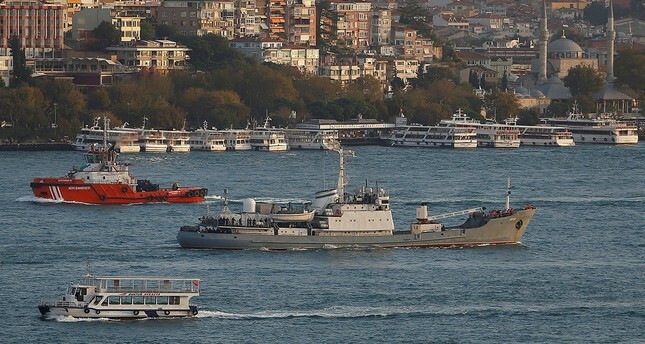 Russia's defence ministry said in a statement, saying that the research ship Liman "sustained a hull breach due to a collision" with the ship Ashot-7, 40 kilometres (25 miles) northwest of the Bosporus. Other Russian navy ships and a plane have also been dispatched to the scene. The Russian military said it is trying to identify the owner of the Ashot-7 ship. Advisers of Prime Minister Binali Yıldırım called their Russian counterparts to inform them and convey sadness about the collision in the Black Sea, prime ministry sources said. Later on the same day, PM Yıldırım also held a call with his Russian counterpart Medvedev on the situation of the rescued Russian crew of the sunken warship. The Liman was part of the Black Sea Fleet. It was a former research vessel that the Russian navy has retro-fitted into a reconnaissance ship. The Interfax news agency reported that it spent much of the winter in the Mediterranean off the coast of Syria and returned to the Black Sea to monitor NATO exercises in February. Turkey is the transit point for the Russian navy in the Black Sea. Russia's naval traffic increased as the conflict in its ally Syria escalated. Russia occasionally dispatches military vessels to the eastern Mediterranean coast of war-torn Syria to back the Assad forces. Just a few hours after Liman sank, the Caesar Kunikov warship of Russia crossed the Dardanelles (Çanakkale) Strait, heading to the Bosporus.